When you check into the AmericInn Lodge and Suites of Bolingbrook,IL, whether for business or pleasure you will be surrounded by the pleasing atmosphere that you can experience only with us. You will enjoy spacious, quiet, masonry constructed rooms that allow you a sound nights sleep. We offer several different room types - King, Double Queens and Whirlpool-Fireplace Suites. Enjoy our indoor pool and whirlpool or relax in front of the elegant and cozy firelace in our lobby. Wake up in the morning to the complimentary enhanced breakfast featuring homemade waffles and more. 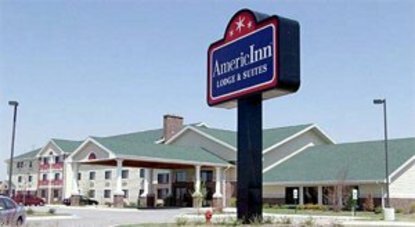 AmericInn Lodge and Suites Chicago-Bolingbrook is coveniently located 1 mile from Auto Arena, Goss International, Sharp Electronics and CarQuest. 5 miles from Bolingbrook Golf Club, Lewis University and 30 miles from downtown Chicago.